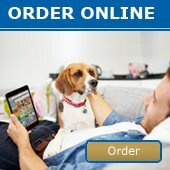 About Us - Wholesale Pet Supplies Australia - Prestige Pet Products Pty. Ltd. Created in 1997, Prestige Pet Products is a family owned wholesale pet product company committed to providing our customers with quality products that pets love. In addition to providing an extensive range of brand name products, Prestige offers our customers exclusivity of the following product lines, Prestige, Scream, ZeeZ, Petkin, Petrageous Designs, Mammoth, Charming Pet, VIP Products, Cats Eye, Simple Solution and Huds & Toke. Our state of the art warehouse facility is based in Caboolture in South East Queensland, 30min north of the Brisbane Domestic and International Airports where our dedicated staff ensure prompt dispatch of your order. On site is a comprehensive retail showroom where you can view new products and featured products from our product range. Just call and we'd be happy to give you a tour of our premises. In addition, we hold an open day at our warehouse every year. We feel a pet product supplier should meet certain standards, and we offer these assurances to our customers. A Quality Product - Prestige Pet Products carefully creates and selects only the very finest items. Innovative Ideas - We are always searching for new items and at the same time developing new products that will help you to offer customers the most exciting and up to date pet products on the market. Courteous Service - Our professional office staff take pride in the efficient handling of orders and enquiries. Guarantee - Our goods come with guarantees that cannot be excluded under the Australian Consumer Law. You are entitled to a replacement or refund for a major failure and for compensation for any other reasonably foreseeable loss or damage. You are also entitled to have the goods repaired or replaced if the goods fail to be of acceptable quality and the failure does not amount to a major failure. As always, the team at Prestige are available to answer any query you may have. Simply drop us a line at info@prestigepetproducts.com.au or call 07 5432 0200 and speak to our friendly customer service team. PLEASE NOTE - We are a wholesale company and do not supply to the public. To view a list of stores we supply to, please click here.